Beware what you set your heart upon. For it surely shall be yours. Oh, if only it were that easy, right? Hi friends, I just wanted to pop in and share a card for Day of Giving Friday. This card is going to one of my sweet readers and I hope you can put it to use for some occasion in your life. This is one of the cards I created using one of the new borders I designed (this is the conventional use crosswise in a card). This is actually what I call clean and simple – oh, and easy. On top of a 6″ x 6″ cream card base I matted another layer of gold and brown. Next I layered on Graceful Scallops (US) (UK) and the petite scallop from Graceful Brackets (US) (UK) secured by a ribboned bow. Tucked under the bow, a stamped oval cut from Spellbinders Classic Ovals LG embellished with the Graceful Corners One Set (US) (UK). For new readers, every Friday it’s my pleasure to give away a card. The card goes to a randomly picked reader (worldwide) who leaves a comment in our conversation. Want to know more about Day of Giving, here’s a link to my FAQ’s just check out #11. You can check to see if your name is on the list of winners HERE.! For your comment: How far along are you on your holiday cards? Thanks so much for stopping by friends. I’ll see you soon!! Hi Becca what a lovely card, so simple clean and fresh, but so elegant – love it. still frantically making Christmas Cards and gifts. I don’t know December always seems to arrive to soon. Absolutely gorgeous, Becca. Your new collection is showcased elegantly in this card. And what a pretty color combo, too! Becca this is a sweet card and beautifully done by you. I have finished my Christmas Cards and posted, They are already being received. a rough time you have had. happen in our lives that bring us down. communicating with others who have also had loses or illness . on well but unfortunately she passed away on the 19 th Nov . Very lovely card using the new dies, hey? I must go online in the next couple days to order mine. It depends on how much time I get with my Christmas cards. I have a bunch made up if I decide to use them and probably will for the friends but have to do the “specials” for close relatives. Time runs out so fast especially at the holiday time of the year. I haven’t started cards yet – I’m still thinking. 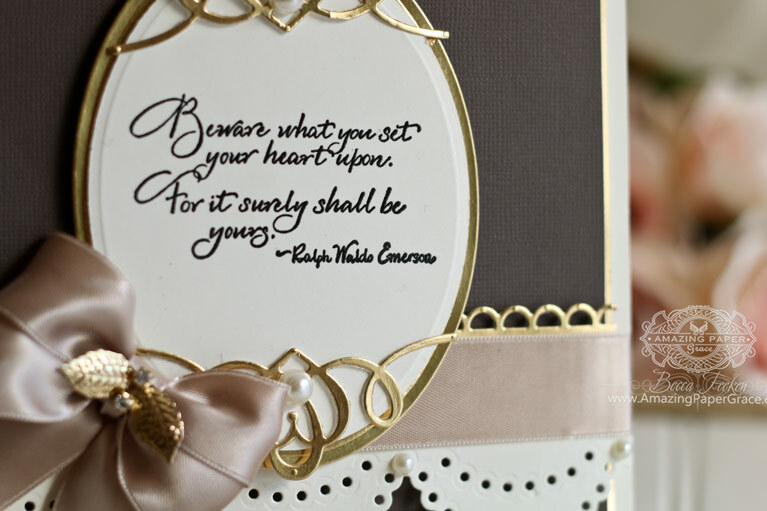 Such a sweet card with the great Ralph Waldo Emerson quote. This one is new to me and I love it. As for my christmas cards, I could say I am finished but the cards I have made I made with my stampin up group! I plan on getting started today, once I get over the hurdle of which stamp set to use!! Love all ur new stuff!! I will be getting as many as I can! I wish I could say they are done but in truth, I have not even been able to start them. My physical pain is such that I am not able to even work. On top of that, I have had to cancel all medically dire appointments due to having no ride. Not trying to be a downer but this is not a good time for us and I am trying desperately to just hold on. Anything that could go wrong did. What makes it hard is that we will not even be able to have Christmas this year but I know it is not about the presents or the tree. That is is only about Jesus and His priceless Gift but it is hard watching everyone else celebrate around us. Oh, I can hear desperateness in your comments. I want you to know that right here, right now, I am praying that your circumstances change and you are blessed with all the things you want and need to be healthy and happy. I am so tempted to give advice; the Lord is guiding me to keep my ‘mouth’ shut and my heart open. I hope you feel safe and cared for in this precious community. I like the idea that “troubles shared are troubles diminished”. My wish for you is that your thoughts have reached God’s ears and good things are winging their way to you, at this very moment. Thank you, God! I can see a card like this in my future…I’ll recreate it! It’s elegant and classic, so beautiful. I love this sentiment. I believe it IS that easy – BUT NOT THAT SIMPLE. Oh, how we can sabotage the desires of our hearts with fear, doubt and feelings of unworthiness. I know this all too well! Sometimes, though, our wishes manifest BUT they don’t look like we wanted. From this we learn the power of our wishes and we learn discernment, as we refine our ideas about what we want. It’s at times like these that believing the Lord knows what’s best for us is wise and peace-affirming. I fervently hope that life is good and very good in your post-UK-adventure. Perhaps, you are trying to catch up on Christmas cards that were tabled in preparing for the premiere of your new dies. If you’re like me, you can’t believe it’s December already. I have a vague glimmer of ideas and some materials purchased but haven’t made a card. Years ago, I wrote a poem, “Ready or Not Christmas Comes”. Somehow, what’s nearest and dearest to our hearts will be done. The rest, will be let go. I have peace in knowing this. Loved all your shows and your beautiful dies. There are quite a few on my Christmas list. This card is beautiful too. Thank you for directing me to Quietfire for the stamp I asked you about. I also ordered another one, and when I received the stamps Suzanne asked where I had heard about her stamps. I said on Becca Feecen’s blog, and she put a heart under your name. 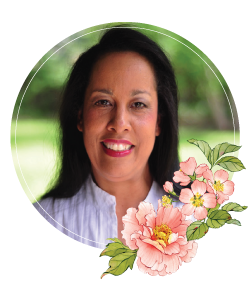 Hello Becca – I love that you are showcasing your new die collection because I am anxiously awaiting my order and I’m very inspired by your lovely ideas. I love the elegant look of this card! I have my supplies for my Christmas cards and had planned to start them already but I’ve been sick the last couple of weeks. Hoping to begin this weekend. I am just about done. I am keeping it simple this year. Today’s card is elegant and so beautiful and the verse is very true, be careful what you wish for!! I have done most of my cards for neighbours and friends and am well over half way with the “specials”, only about another 6 to do. It’s finding the time that’s the problem, but you’ll know all about that!! Not as far along as I should be on my holiday cards….trying not to stress too much! Becca, this is a beautiful card. I have made my 40 cards for the missionaries & they are mailed. Beautiful card…love the clean look of it! Sorry to say, I have not started my cards…will probably do a Christmas letter instead. Becca this card just is so elegant. I love the clean lines, the cream, brown and gold. You’ve done it again… Thanks. 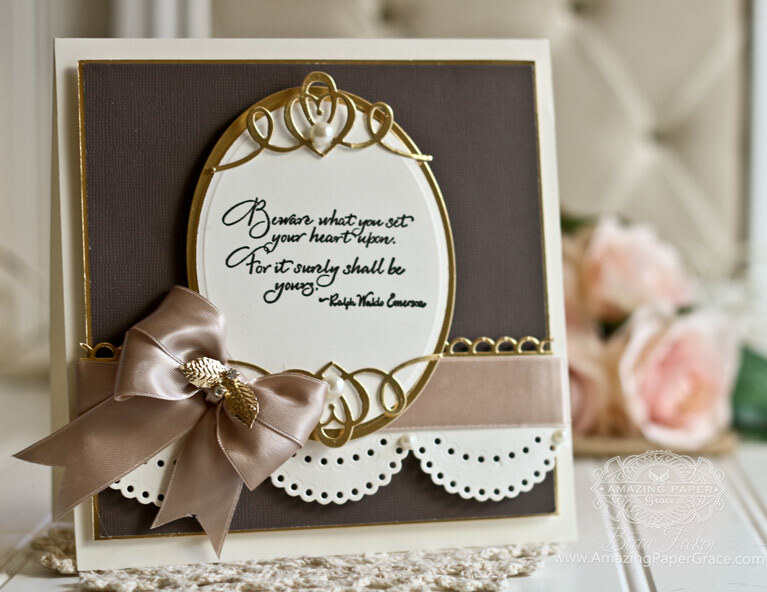 Love the gold details on your pretty card! Sweet cards and I like the sentiment! Holiday cards! Surely you jest. It’s only the 2nd!!! laughing – this weekend…I’m working on one set for my snarkily inclined friends. I have some already done for my more spiritually inclined family and friends. I’ll have another set of those to do, then just addressing and mailing out. Another week or so and will be finished up. Blessings, Becca! And how far along are you? Christmas cards, ha ha ha, I’ve got like 5 cards half made that I worked on last year, dang I’ve procrastinated and gotten wrapped up in other projects!!! Maybe next week I’ll get started on them! Good morning Becca, just a stunning card I love it!!! Less is always more!!! Christmas cards oh dear not even started yet!!! I got my first on the 1st December better get cracking!!! Hi Becca, what a beautiful card. You do such great work. I have my cards finished which included 210 for the shoes boxes for Operation Christmas Child, that our Church sends. A gorgeous card once again, Becca, it is so elegant! Hi Becca, I love this CAS card, beautiful. I have been making Christmas cards all afternoon, I am panicking hahaha. I have promised myself that next year I will start in January (I said that very same thing last December hahaha), but hopefully this time – I will !! All the Christmas cards I intended to make are done, but im enjoying it so much in still making them! Guess I have a start on next year !! What a beautiful card, Becca. Love the minimalist style. I have only made 2 so far! We have been away (no internet either!) so I need to get cracking. The puddings are all made, but I have yet to do the Christmas cakes and purchase the gifts. Well behind this year I fear! Becca you have done it AGAIN !!!! such talent oh how i wish i was half as good as you . Hope i am in with a chance to win this card as i think its beautiful !! !